Catch up on all the news and notes from the Appalachian League for the week ending June 9th! 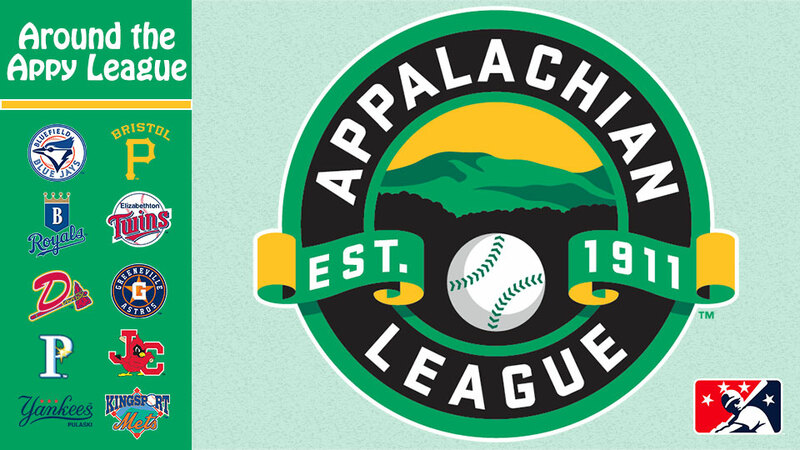 Follow @AppyLeague on Twitter for more updates and information from all ten Appalachian League teams. Bristol teamed up with its parent club, the Pittsburgh Pirates, and Pirates Charities to support the Bristol Challenger League, which helps give children with special needs a chance to play baseball. Burlington hosted a Single-A baseball game for the first time since 1964 with a South Atlantaic League matchup between the Greensboro Grasshoppers (Miami Marlins) and the Hagerstown Suns (Washington Nationals). The Danville Braves announced the dates for their 2017 youth baseball camp, to be held July 17-19. The Johnson City Cardinals hosted Challenger League games and also announced an upcoming job fair. Princeton announced that its Junior Rays kids club is now accepting applications. The Pulaski Yankees celebrated PLAY BALL weekend - an MLB and MiLB initiative - and also announced a bobblehead giveaway of Blake Rutherford, the New York Yankees' first round pick in last year's MLB Draft.